No matter what, both big and small business or organizations share the same goals; maximizing productivity, increasing brand awareness, increasing profits etc. Because of this, convenience and automation have also increasingly become daily necessities for businesses looking to streamline their marketing and customer service and chatbots has become a great avenue to tackle these necessities i.e. generating new leads and making the sales process easier. Chatbots are an amazing way to communicate with your customers without having to put a human at the forefront of each contact. With chatbots, you can simply automate some of the basic interactions while the human team focuses on the more complex inquiries. When incorporating chatbot strategy to your business, it is recommended to first start with a customer service bot. Developing a standard “question-reply, question-reply” chatbot uploaded with the most common and frequently asked customer questions. Answer questions; this is the most popular reason why most business use chatbots. When loaded with FAQs, bots are very effective in providing sufficient answers to customers’ inquiries. Increase engagement; under normal circumstances, an employee can handle only one customer at a time. Sometimes the one on one interaction can be slow and may lead to missing out on other customers. With bots, there is no such thing like too many customers as the system allows the bot to attend to an unlimited number of people at the same time. 24 hour service; unlike humans, chatbots do not go to sleep. Chatbots can free up business hours while providing a dynamic form of round the clock sales or customer support all year round. Simplify sales and payments: besides providing information and answering inquiries, bots can influence sales for your business. 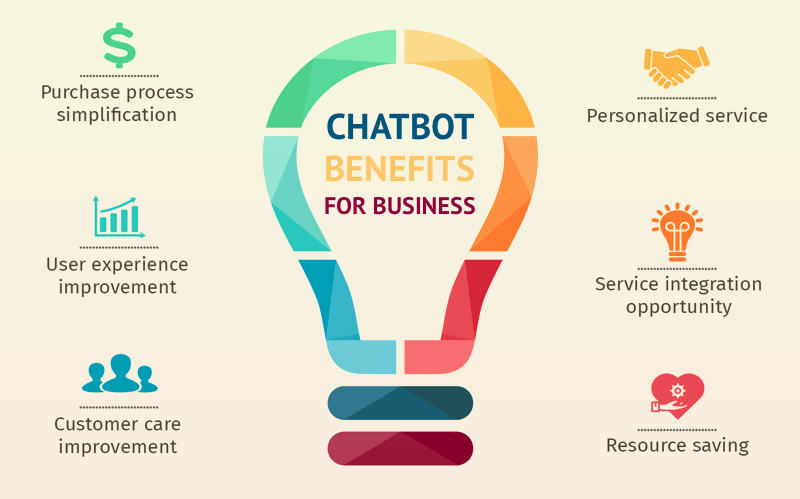 Chatbots use features that can automate the saless process from start to finish allowing customers to pay for their products easily directly on the chat interface. Depending on your needs, chatsbots provide endless opportunities for businesses both small and big. Its technology is still new – effectively wise and because they are governed by a set of rules that make them flexible it can be created in so many different ways to suite your business needs. This reason alone among others makes chatbots a great deal for your business.